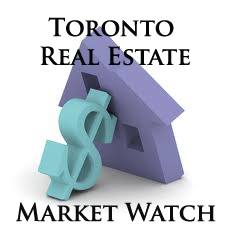 The Toronto Real Estate Board reported 1,583 sales during the first 14 days of January 2016. This result represented a 15% increase compared to 1,376 sales reported during the same time frame in 2015. Annual rates of sales growth were stronger in the areas surrounding the City of Toronto for all major home types. While the number of sales increased strongly on a year-over-year basis, the number of new listings reported were down slightly compared to the first 14 days of 2015. This suggests that market conditions were tighter this year compared to last, with more competition between buyers in many market segments and areas in the GTA. The average selling price for the first two weeks of January 2016 was $594,969 – up 16.5% compared to the average of $510,575 reported for the same period in 2015. GTA-wide, the strongest annual rate of average price growth was reported for detached houses. The double-digit annual increase reported for detached homes in the ‘905’ regions was likely the result of a compositional shift in the types of homes sold this year compared to last, with a greater share of high-end homes sold in 2016.